After years of work and months of teasers, Microsoft has released a tool called "Delve," which will do for Office 365 users what Cortana will do for Windows Phone users: manage their lives. 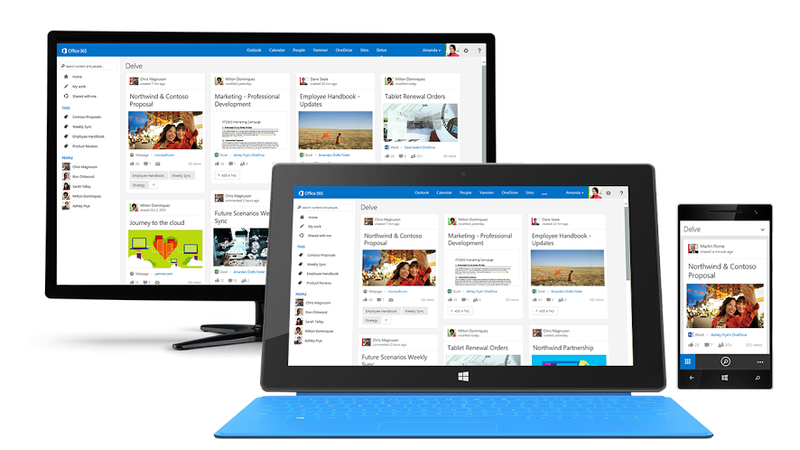 As of Monday, the company started rolling out the service to Office 365 business customers. Office 365 is the cloud version of Microsoft's uber-popular Office apps. There is no additional fee for Delve. It's included in Office 365 subscription plans, which range from $5/user/month to $22/user/month, a Microsoft spokesperson tells us. Microsoft Delve, previously code-named "Oslo," searches your emails, meetings, contacts, social networks, and corporate documents stored in Office 365, then uses "machine learning" artificial intelligence to show you the stuff you need to see. Delve is built on top of a search-engine technology called Office Graph, which will eventually be used for all kinds of other tools, Microsoft says. The downside to Delve is that it's pulling data mostly from Microsoft apps l ike OneDrive for Business (the cloud storage for Office 365 documents), SharePoint Online, and Yammer. Delve will eventually include other Microsoft products like the note-taking app OneNote and enterprise chat tool Lync, plus "other content sources, such as email attachments," says Microsoft general manager Julia White in a blog post. Still, to be really useful, Microsoft will have to eventually link Delve to non-Microsoft apps, too, like Box, Dropbox, Salesforce.com, and chat rooms like Slack. That said, this is a big step in Microsoft's promised new direction. CEO Satya Nadella is pushing Microsoft to become a " productivity and platform company." His vision is that your phone/tablet/PC/TV and business apps know you and cater to your needs before you issue a command. Delve, along with Windows Phone's competitor to Siri, Cortana, are two main tools that he recently names as examples of this new vision.